I am sure you have heard it before: summer is the best time to buy a home, or sell one for that matter. However, it isn’t necessarily true, or even possible for some people. Truth be told, people need to sell homes year round, and the best time for them to sell is whenever they have to. We are all aware of the value of curb appeal, but the phrase takes on a whole new meaning around this time of year. There is no doubt that the manner in which your home is presented this holiday season will contribute to either its success or failure on the market. Having said that, embrace the end of the year and decorate — with a few caveats of course. Keep in mind that curb appeal can absolutely sell a home. How else are you expected to get people to come in if the exterior is unwelcoming, or – worse – unattractive? Continue to maintain your home’s appearance, but don’t neglect the holidays. There may be no better time to really let your home shine. 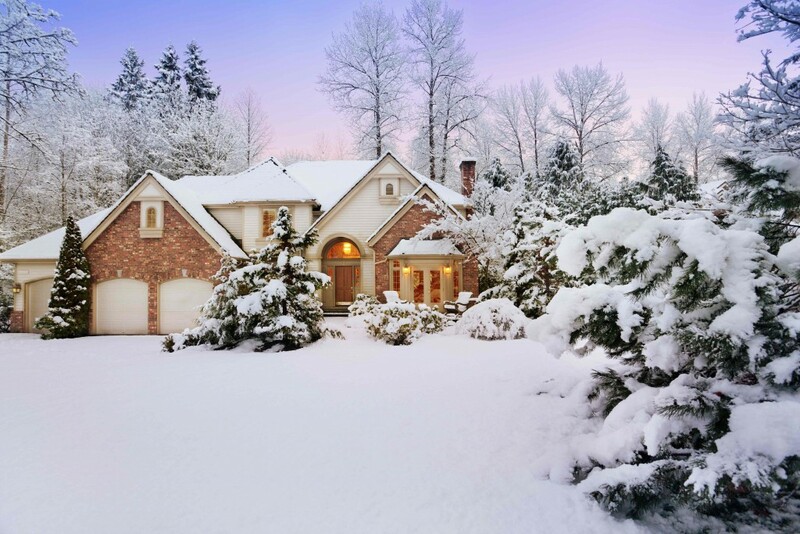 There are few times a year in which homeowners can display their homes like December offers. Don’t be afraid to decorate. Use the holidays to your advantage, but don’t overdue it. I can’t stress this enough; the last thing you want to do is offend any potential buyers. Opt for neutral fall and winter decorations to attract the largest audience. Remember, home selling is all about catering to the largest crowd possible. Decorate, but don’t pigeonhole yourself. I can assure you that real estate agents still have a place in the real estate landscape, even in spite of online listing and valuation tools. In fact, I could argue that the value of a reliable real estate agent is highest at this time of the year. Their expertise of a particular market is invaluable, and appreciated that much more when everyone else has other things on their mind. That’s why I recommend working with a professional this holiday season, at least if you intend to sell your home in a timely and profitable fashion. However, it is not enough to simply work with an agent; you need to work with one that is reliable. Come the holidays, more agents are inclined to take time off, and perhaps even limit the hours they are willing to dedicate to home sellers such as yourself. Don’t hesitate to take a little extra time to find a real estate agent that is willing to meet your needs. I am referring to those agents that are willing to work hard for you and won’t disappear when certain holidays sneak up. When all is said and done, you need to be able to rely on your agent when it comes time to take action. Do yourself a favor and hire a good one form the start. You may regret going with a cheaper, less reliable “professional”. For as counterintuitive as it may feel, it may be in your best interest to lower your price point. Of course you want to stay within a reasonable asking price of the home’s real value, but don’t be scared to go a little bit lower. Pricing your home to sell will create a demand; a demand that could potentially start a bidding war in the right neighborhoods. Before you know it, buyers will be lining up to get in on the deal, and could even drive the price higher than you ever imagined. In reality, it is never easy to list a home for less than you think it may be worth. However, if market conditions dictate, it may be the best decision you make throughout the process. Just think about the alternative; unacceptably high prices can simultaneously reduce demand and cause the listing to sit on the market for far too long. Buyers will take note of how many days the home has been listed, and sense desperation in a seller. The more days a home sits on the market, the less inclined buyers are to make full offers. Be sure to consult the real estate agent I recommended that you hire, and see if pricing to sell is in your cards. You may be surprised at the interest that results from the move. Potential buyers will want to know everything they can about a property. The more you include, the better. Obviously you will want to have quality real estate photography, but what you include in the photos is equally important. Of course, you will want to have pictures of the eye-catching features in your house. However, investors are advised to include photos of the neighborhood as well. Get out of the home and give potential buyers a window into the community they may buy into. Neighborhood/lifestyle photos will give viewers a sense of community. Now that most MLSs allows you to publish more photos, there is no reason you shouldn’t show off your property in the best light. Of course, it is not enough to simply take pictures. The key is to take high quality photos. In fact, high quality photos have been proven to increase the sale price of a property. Not unlike real estate photography, a video walkthrough is capable of introducing your home on a more intimate level than a simple flyer. The need for such a medium is only magnified during the winter months, when inclement weather can limit the amount of homes prospective buyers visit. Be the first seller to welcome them into a home, even if it is online. Id’ be hard pressed to think of a better way to compensate for the lack of foot traffic bad weather can result in. Most buyers start their home search on the Internet, and providing them with an entire walkthrough can easily give you a leg up in the competition. It may be just what your home needs to sell this holiday season.